Where does true deliverance come from? Only from God. 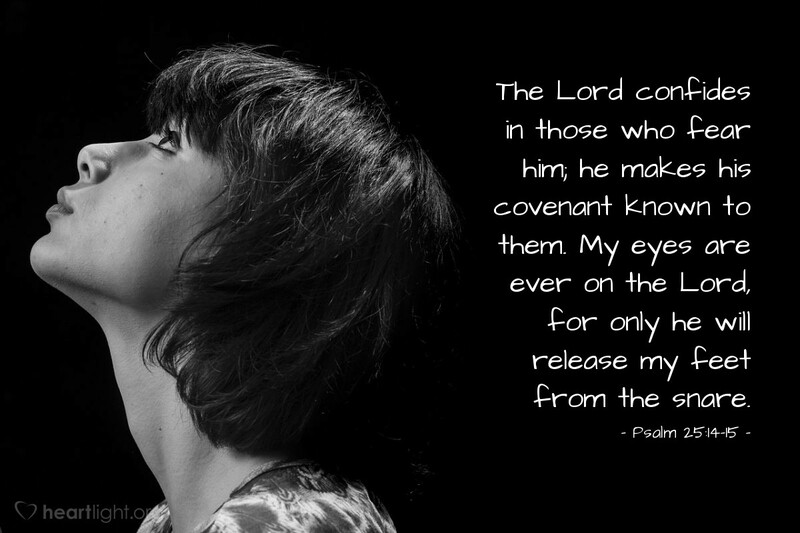 Deliverance is found in God through deep reverential respect for his holiness and might, through living in covenant relationship with him, and through maintaining our focus on him. Any other roads to deliverance are false and ultimately prove themselves to be a snare. Like the tight rope walker whose eyes are not on the ground or the surroundings, but on the rope in front of him where he will walk, so too our eyes must be on the Lord. Only by looking to him will he lead us to safety. Precious Father, you have done so much to save me. You who are so holy and righteous, have reached down to take my hand when I was a sinner and in rebellion to your love. Teach me your ways. Correct the wrongs in my life. Guide me into the ways of your truth. I want to not only be saved from my sin, but from days of uselessness and frustration. Make me a vessel that can be used to honor you. In Jesus’ name I pray. Amen.